I love the Rocky movies. What guy doesn't? Hell, I don't even hate Rocky V all that much. If I was forced to pick a favorite in the franchise it would be Rocky III. 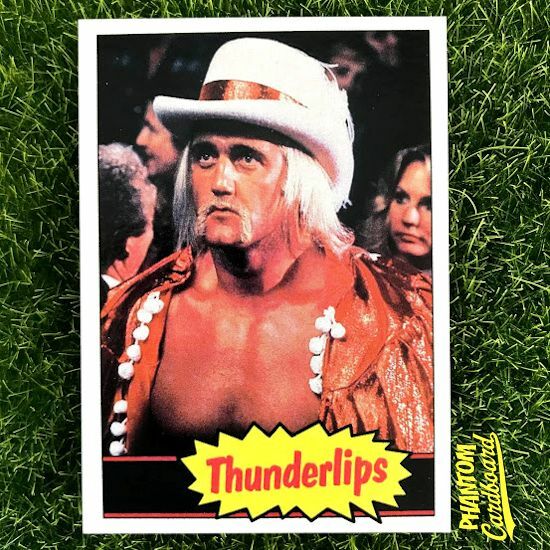 Mr. T was great as Clubber Lang and who could forget the The Ultimate Male, Thunderlips!? I really like how the Randy "The Ram" Robinson card came out in the 1985 WWF inspired design so I was itching to give that template another try. Who better to do that with than The Ultimate Object of Desire? I thought this went so well I decided to make a card for the other half of The Mega Powers.